Is eSports the future of car marketing for manufacturers? Chances are you’ll have heard the term eSports at least once, but never gave it a second thought or delved any further, writing it off as some electric racing nonsense before getting on with your life. You would of course be wrong to do so and wrong in your assumption. eSports is a form of competitive video gaming, with the most popular competitions taking place in games such as League of Legends and Dota 2. Don’t worry if you’ve not heard of those games, that’s not the point. 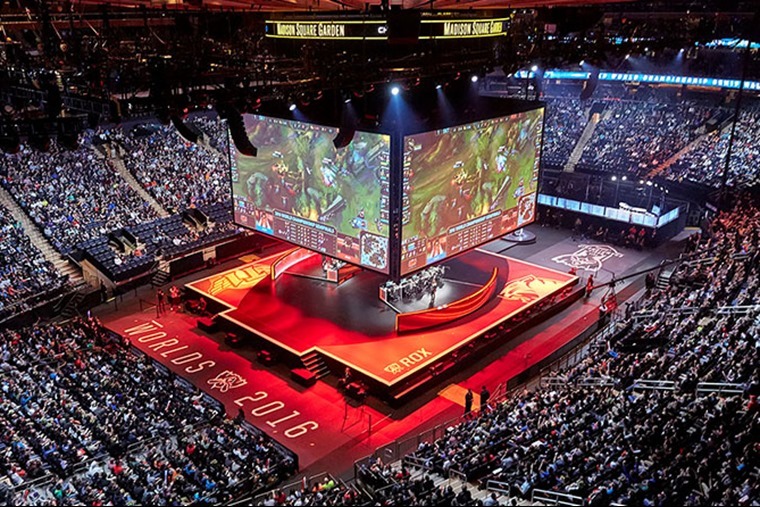 The point is that by 2019 it is estimated that not only will eSports continue to sell out arenas but that 427 million people worldwide will be watching thanks to the growth of streaming platforms such as YouTube and Twitch. This rapid growth has recently led to the International Olympic Committee to acknowledge the growing popularity of eSports, concluding that "Competitive eSports could be considered as a sporting activity, and the players involved prepare and train with an intensity which may be comparable to athletes in traditional sports", with the Olympic Games being seen as a potential method to legitimize eSports as long as any games used for the Olympics are fitting "with the rules and regulations of the Olympic movement". Away from dreams of gaming being featured at the Olympics, FIFA has already forged ahead into this potentially lucrative market by hosting the eSport World Cup. Electronic Arts and FIFA recently announced that more than 20 million players participated in FIFA 18’s competitive gaming this season, with the global gaming series concluding at the FIFA eWorld Cup Grand Final at the O2 in London in August. This will see 32 competitors vying to be crowned the FIFA 18 world champion. The staggering amount of interest – from the spectators who pack into the arenas and tune in via the internet to watch to the ultra-skilled players themselves – shows why more and more companies are investing in competitive gaming. Global esports revenues are expected to grow 38% to $906 million in 2018 and experience further growth to $1.65 billion by 2021, according to an annual report on eSports by market researcher Newzoo. Even Premier League clubs are getting in on the action, with West Ham Utd and Manchester City among a growing contingent of football clubs who have signed FIFA players to contracts in order to boost their club profile and widen their global appeal. So when will automotive manufacturers get in on the action? With the worldwide popularity of racing games such as Gran Turismo and Forza Horizon, and the fact every manufacturer worth their salt has a variety of fast and furious models from the past to the present featured in both games, you have to wonder. BMW has previously used the huge success of eSports as a sponsoring opportunity, supporting the European League of Legends Championship Series 2017 summer finals in Paris, while Toyota likewise sponsored the inaugural season of Overwatch League earlier this year as well as providing behind-the-scenes content as a means of showing off some of its models. This time, @Malik4play is joined by @Mickiepp and @HarryHook from the @DallasFuel. They talk about their favorite players to watch and what Mickie did with his first Overwatch League paycheck. But it has fallen to Nissan to make the first tentative steps from passive sponsorship to active participant. After months of testing and fine-tuning, the 2018 FIA-certified Gran Turismo Championships launched in June under the banner of ‘Starting a new era of motorsports’. Racers worldwide are welcome to participate, with the season concluding at the Regional and World finals in October and November, where the Nations and Manufacturers trophies will await GT’s top-ranking players. These final exciting match-ups between Gran Turismo’s best drivers will be hosted in stunning locations around the world and streamed online for everyone to enjoy, with the manufacturer announcing that the top drivers in the competition will win a trip to the NISMO Festival at the Fuji International Speedway in Japan and to the Tokyo headquarters of Polyphony Digital, the developers behind the game. An additional winner from the Nissan GT Sport Cup eRacing competition in Europe will also be selected. Much like the EA/FIFA sponsored eWorld Cup, the GT Sport championships are the first online eSports racing championships sanctioned by the Federation Internationale de l'Automobile (FIA), arriving 10 years after the launch of the groundbreaking Nissan PlayStation GT Academy program which has previously given gamers the chance to become real-life Nissan race car drivers. 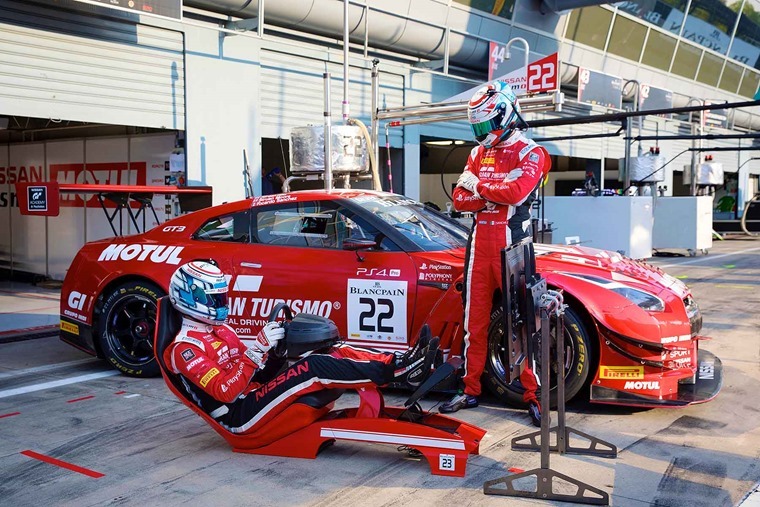 “We proved with the Nissan GT Academy that some of the fastest drivers in the world might never have had the opportunity to compete on a race track if it weren’t for gaming,” said Nissan's global motorsport director, Michael Carcamo. “These guys have gone from the couch to the cockpit and broken the traditional model of how to become a successful racing driver. Whether other manufacturers will make the leap from passive sponsors to active participants in eSports remains to be seen, but with a new Forza Horizon game coming soon now would be as good a time as any to start. Soon, you might even see manufacturers championing their car’s scorching 0-60mph time, Nürburgring lap record and that their eSport team wipes the floor with the competition too.